"I am not like the other Filipinos!" As an alien visitor to The Philippines I have heard that phrase so many times. It is almost as if common knowledge dictates that this is a country of clones standing side by side in a factory forecourt, surrounding one rogue who stands alone, a courageous cavalier in a realm of robots. The idea that The Philippines might consist of a wide range of diverse societies and cultures seems as alien to such people as I am myself. The truth, of course, is that this archipelago of more than 7,000 islands is very culturally diverse. My Filipino friends come from entirely different backgrounds and each have different views of religion, politics, family affairs, have massively different levels of education, experiences and even speak vastly different languages. My city-born friends have different skills to my province-born friends and I am glad to have been able to learn from them all. It is ironic then that the only truly common characteristic I have come across in Philippines is an intense desire to declare that "I am not like the other Filipinos." So why have I heard that phrase so much? I suppose, it has to do with how all people live our lives. My friends from England mostly come from a similar background to me, with similar upbringing. Whilst I would like to think that as an Englishman I know English culture very well, the truth is probably that my own view of my own country is actually very limited. Additionally, there are not many people who explore their own country before venturing further afield. It somehow is not very exotic to go to the next town when we could go to another country instead. For those living overseas, when going home it would be quite difficult to explain to the parents or tatay at nanay that we are not actually going to visit them with armfulls of exotic delicacies as expected. No. Instead, we have big plans to visit the slums of London (or Tondo) to learn about the poor people of our own country. Or perhaps to head off to the peaks of Pinatubo or the spectacular scenes of the Lake Distrct. And no, they can't come because either train tickets are very expensive or because the multiples of cousins, aunts and uncles that would not be invited would subsequently be jealous and spread vicious rumours about us. So I think that most people who travel a lot tend to travel more to countries outside of their own country. So is it possible then that aliens see a different version of the country to the locals? Or not even different to locals but also different to each other, having come from different social and ethnic backgrounds and even taking different paths. Perhaps that is why so many foreigners enjoy hanging-out together, drinking a cold beer, iced tea or coconut wine or whatever happens to be available, to share experiences and to tell stories. Story-telling is actually a very difficult art to master. Happily, some of my friends write very well indeed and have very good stories to tell. So, bearing all of this in mind, I would like to introduce a small collection of books written by my friends about The Philippines and their experiences. Keith and Jim, master craftsmen of different trades, combine pen and lens to illustrate together the simultaneous best and worst that Philippines has to offer. 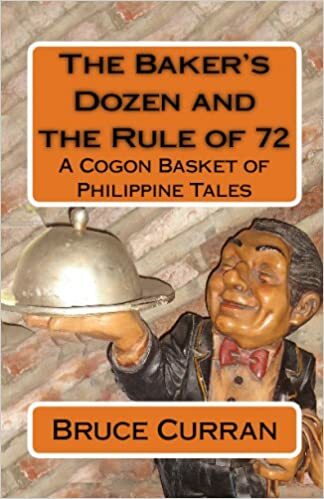 Keith relocated to a small Visayan island in 2000 and wrote many letters about his new life to his friends and relatives back in the UK, detailing the always amusing, sometimes frustrating and often absurd happenings of his new life. Collected together, these letters later formed High Tide Under the House. Short tales of encounters and experiences had around the Philippines islands, showing local culture through the eyes of a foreigner. Traveling by road is a great way to see the true contours of a country. Traveling by motorbike is a great way to not only see, but also to taste and smell the true flavours of a country. Bruce shares tales of his experiences traveling through sixteen countries on the back of his Norton Commando 750cc. This is THE absolute definitive sailing guide to the archipelago of the Philippine Islands. Bruce himself expressed how proud he was that a copy of his book was deemed worthy enough to be stolen from its display place at a top-end hotel in Manila. When Is Top Gear Coming Back On? How are you doing these days ? I noticed your attempt to register to my website, recently, lacked confirmation of the opt-in email which you should have received in ebooks@whitealien.com on last 20 august. Perhaps it got lost or accidentally wound up in the spam folder .. 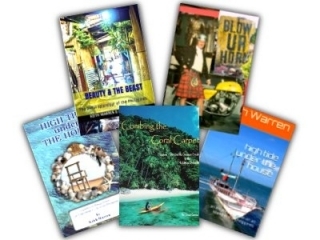 If I can help out in any way just let me know via bruce@authortravel.com. Right now I'm automating to send my latest stories to those who registered ahead of time.